Philips was founded in 1891 by Frederick Philips in Eindhoven, Netherlands with a goal to make affordable, reliable incandescent light bulbs. From the early to mid 1900s it expanded into medical X-ray tubes, radios, televisions, and electric shavers. In the '70s and '80s it helped advance electronics and invented the LaserVision disc as well as co-developed the compact disc with Sony. Like other large corporations, such as Panasonic which I posted about just a few weeks ago, Philips makes absolutely no mention of video games on its website's company history page. 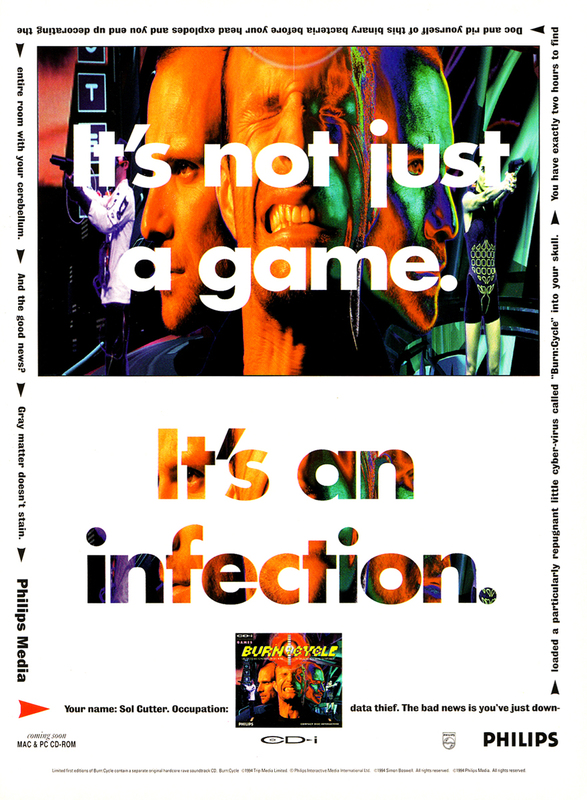 Not only was Philips a computer games publisher, it created a multimedia system called the Philips CD-i (compact disc interactive). 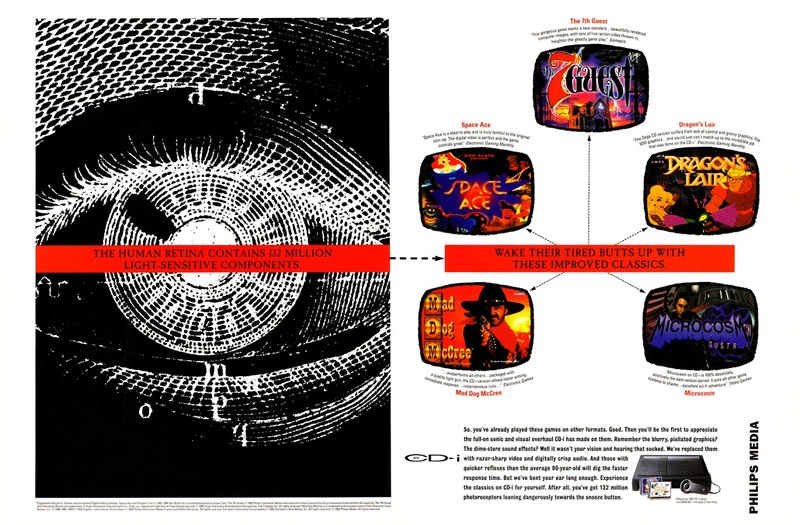 Released in the U.S. in 1991 for $999.99, the CD-i was intended to be more than a gaming console as it could play photo CDs, audio CDs, and video CDs, plus it had an add-on karaoke system and could perform online functions, such as web browsing and e-mail. Initially Philips did focus on educational software, music, and self improvement, making it more appealing to a family as games were still considered primarily for kids back then. 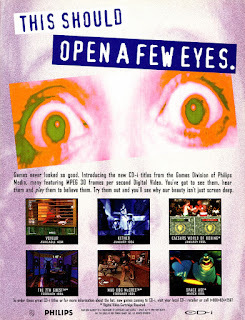 Of course, there were games and among game players the CD-i is best known for its three Legend of Zelda games. Nintendo did not develop these games, two of which are side-scrolling adventures, and they are considered to be quite poor. Philips also released a game starring Nintendo's famous plumber called Hotel Mario. It was able to use Nintendo properties in games due to a contract the two companies had when Philips was working on a never released CD-ROM drive for the Super NES. Philips ultimately published over 100 games for the CD-i before it shut down production in 1996 and sold its Philips Media game division to Infogrames in 1997. A variety of CD-i models and other electronics that played CD-i discs were released, and some were from other companies such as GoldStar, Sony, and Philips subsidiary Magnavox. 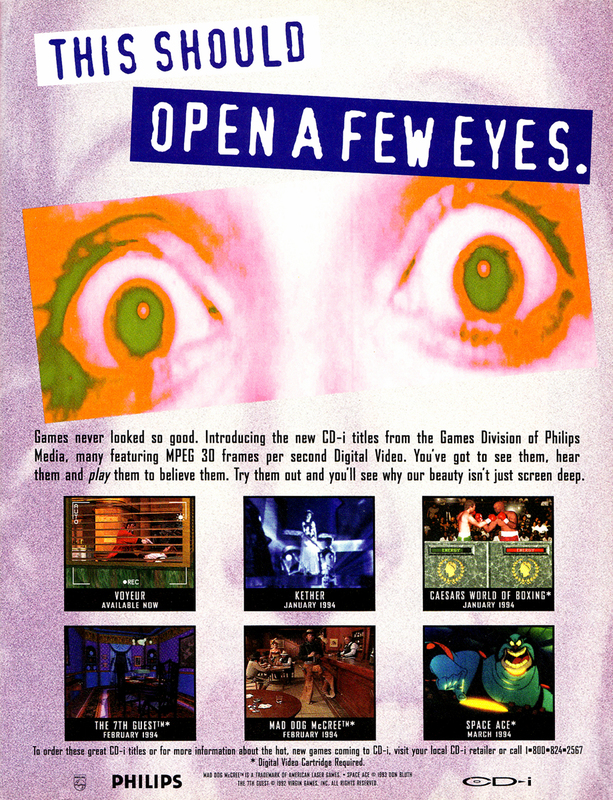 In 1994 Philips claimed to have sold a million systems worldwide which may sound like a lot but in that same time frame Sega sold over 30 million Genesis consoles and Nintendo's SNES sold nearly 50 million, though it did fare better than the 3DO which is believed to have sold approximately 700,000 units.